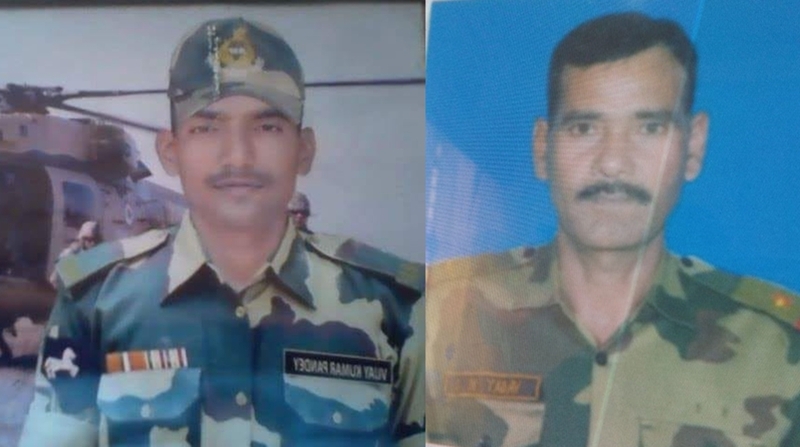 Constable VK Pandey and ASI SN Yadav who were killed in Pak firing on 3 June. An officer and a constable of the Border Security Force were killed and three civilians sustained injuries on Sunday when Pakistan troops heavily shelled Indian positions in the Pargwal sector in Akhnoor area of Jammu, breaking the mere four days old commitment to strictly adhering to the ceasefire pact of 2003. A BSF officer confirmed that an assistant sub-inspector and a constable attained martyrdom. He said Pakistan troops started unprovoked firing around 1.15 am, targeting forward duty points on the International Border in Pargwal area. Two BSF troopers — ASI S N Yadav and Constable V K Pandey — sustained injuries. Both were evacuated immediately to medical facilities but they succumbed to the injuries. The officer said the unprovoked fire was being adequately retaliated by other duty points and posts. Reports said Pakistani troops were targeting at least 10 posts of BSF and 35 villages of the area with mortars. This has created panic and civilians were fleeing to safe places. The Directors-General of Military Operations (DGMOs) of India and Pakistan had on Tuesday last week agreed to implement the ceasefire agreement of 2003 in letter and spirit forthwith and ensure that it will not be violated by both sides henceforth. In case of any issue, it was mutually agreed, restraint would be exercised and the matter resolved through utilisation of existing mechanisms of hotline contacts and flag meetings at sector commander levels. It is not the first time that Pakistan has gone back on its word. On 20 May, Pakistan Rangers pleaded for ceasefire in the Arnia, Samba and Kathy’s sectors after being pounded with heavy artillery that left a Pakistani trooper dead. However, it violated ceasefire hours later on the same night. The intense shelling by Pakistan last month had forced thousands of people residing along the border in Jammu, Kathua and Samba districts to flee their homes. At least 12 people were killed, including two BSF jawans and an infant, and several others were injured. 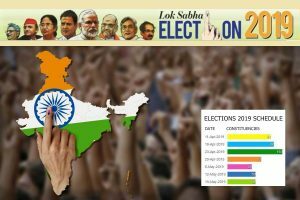 The situation within J&K was also worsening after the Centre announced unilateral ceasefire in Kashmir. Grenade attacks at security forces by Pakistan backed terrorists have increased considerably across the Valley. On Saturday evening, three CRPF personnel were among four people injured in a grenade blast at Fateh Kadal in downtown Srinagar. Unidentified terrorists tossed the grenade at CRPF jawans of 82 Battalion deployed for law and order duty in Fatahkadal area of Srinagar. Three CRPF personnel and one civilian were injured in the blast.